Want to slip into an old favorite that's as timely as tomorrow's news? Then it's a Bates Traditional, an up-to-the-minute rendition of a cycling jacket whose popularity never wanes. 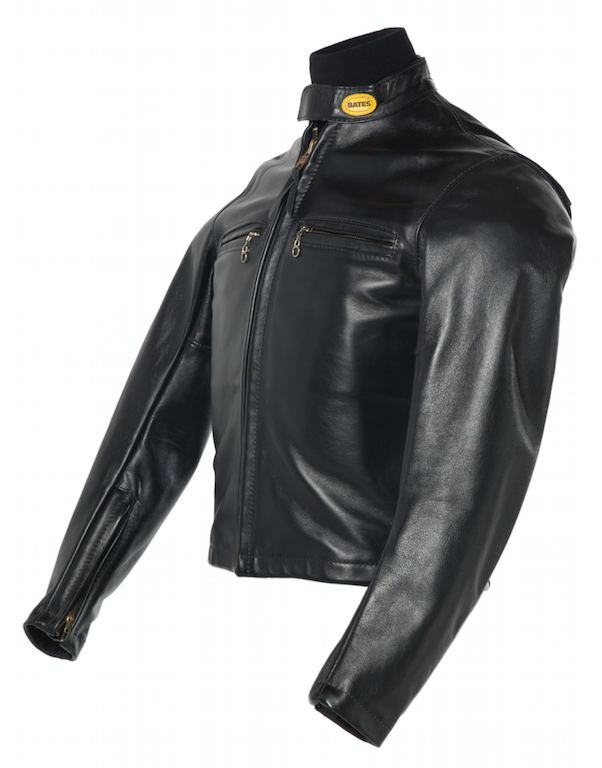 Designed for the man or woman who lives to ride, a Traditional features action-back, wind flap, zippered sleeves, and its specially cut length prvides added comfort and coverage while riding. And it's also made froma heavier leather for no-nonsense protection. Superbly finished with two breast and two side slash pockts, the Traditional comes with a snap-closure mandarin-style collar, the Traditional II with the ever-popular non-flap sport collar.